Centered on the State of Uttar Pradesh, the Hindi heartland has long held the balance of power in North India, from the ancient Gupta kingdoms through the Moguls and the British Raj to the present day. Together, Uttar Pradesh, Madhya Pradesh, and Bihar send far more representatives to Parliament than any other linguistic region in India. Sometimes disparaged as the Cow Belt, North Central India has often been slow to advance economically, but it remains a vital part of India’s heritage and contemporary culture. Agra was a seat of Mogul power. Dominated by Muslim influences in culture, art, architecture, and cuisine, the city is a testament to the beauty and grandeur of Mogul aesthetics—most notably in the form of the Taj Mahal, but also in the forms of some exquisite smaller Muslim tombs and monuments. Today Agra is dusty and crowded, the spectacular Taj Mahal is being damaged by air pollution, and the nearby Mogul ghost town of Fatehpur Sikri is being choked by commercial encroachments. Still, the courts have stepped in with far-reaching orders that should go a long way toward cleaning up the urban environment, including the closure of several factories near the Taj itself. Southeast of Agra, in the northern part of Madhya Pradesh, the sleepy village of Khajuraho predates the Moguls: It was founded at the end of the classical age of Hindu civilization. Khajuraho’s stunning tem-ples celebrate an eroticized Hinduism that flourished when Hindu kings adopted Tantric religion. Recent excavations have also begun to uncover a previously unknown complex of Buddhist temples here. In many ways, Varanasi (or Banaras, as it’s commonly called), in southwestern Uttar Pradesh, is the antithesis of Khajuraho. The holiest city in Hinduism and one of the oldest continuously inhabited cities in the world, Varanasi is crowded, filled with pilgrims, hospice patients, ascetics, priests, Hindu pundits, and worldly citizens of many religions. Unlike those in Khajuraho, Varanasi’s temples are squeezed into the city itself, and the ghats (wide stone stairways leading down to the Ganges) are both key religious sites and secular promenades. The popular Agra–Khajuraho–Varanasi route has plenty of worthwhile tentacles. The Emperor Akbar’s deserted city at Fatehpur Sikri is just outside Agra, and a short drive from here across the Rajasthan border is the Keoladeo National Park in Bharatpur. A separate day trip takes you from Agra to the Mogul-influenced Hindu provincial capital at Gwalior. The magical town of Orccha, a two-hour drive from Gwalior toward Khajuraho, is riddled with 16th- and 17th-century ruins built by the Hindu Bundela rulers, including underground chambers and passageways. Buddha preached his first sermon in Sarnath, just outside Varanasi; and the international Buddhist center of Bodhgaya is east of Varanasi in the state of Bihar. The city of Lucknow, capital of Uttar Pradesh, was once the seat of an elegant Muslim province on a northern route between Varanasi and Delhi. 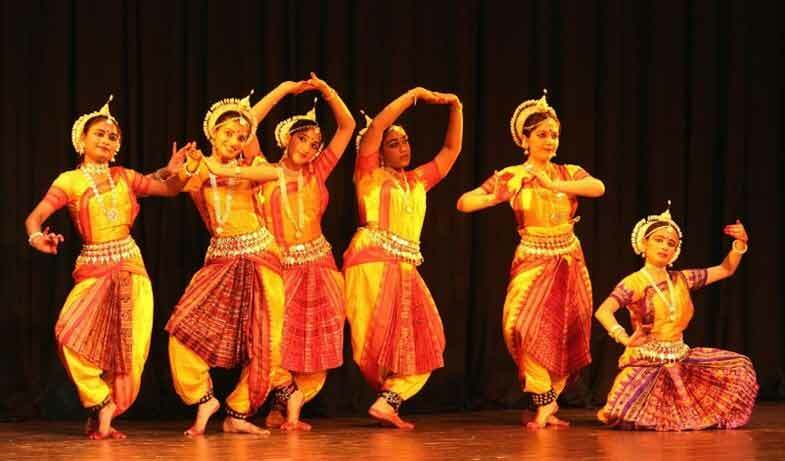 This region provides ample opportunity to experience Indian classical music and dance. Both Agra and Khajuraho stage annual festivals in attractive milieus; Khajuraho’s Festival of Dance, normally held in March, stages some performances in front of the Western Group of temples. Varanasi also maintains a vibrant local tradition of music and dance, noted particularly for its tabla (drum) players. The visual arts are strong here as well, beyond the splendid architecture. Khajuraho’s archaeological museum displays sculptures that once graced the niches of the town’s temples. The Bharat Kala Bhavan at Banaras Hindu University is one of the most attractively arranged museums in India and has superb collections of both miniature painting and locally discovered classical sculpture. The archaeological museum in Mathura, some 56 km (35 mi) northwest of Agra on the road from Delhi, has one of the best collections of classical sculpture (from the Hindu Golden Age, the Gupta dynasty) in the country. Dining Restaurants on this route serve kebabs, other grilled meats, birianis (rice casseroles), and the rich, almond- and saffron-scented concoctions featured in Mughlai cuisine, a culinary counterpart to the Moguls’ architecture. Hotels in Agra, not surprisingly, serve particularly good Mughlai dishes. Small restaurants in villages along the way, not always in hotels, feature simpler, local vegetarian dishes that are often delicious and cheap. Most restaurants in this region are open from 7 to 10 for breakfast, noon to 3 for lunch, and 7:30 to 11 for dinner. Varanasi, with its abundant food for the soul, is extremely light on restaurants; orthodox Hindus do not eat meat, and prefer to keep food preparation a family affair. The major hotels serve standard Indian and Continental dishes and have branched out competently into Chinese cuisine. The city has lately come up with some excellent cafes, how-ever, and is known for its sweets, which are mostly based on distillations of milk and cream; one, called the lavan lata, tastes like a supercharged baklava. A few cafés in Varanasi and Khajuraho even serve such exoticisms as tacos and yak-cheese pizza. Khajuraho, with its laid-back atmosphere, is a good place to venture into a roadside tea stall, a cultural institution as important to India as Parliament. Concerns about hygiene may ward you off sampling street food, but when it’s hot from the fire it’s generally quite safe. Agra’s cultural festival, Taj Mahotsav (February), and the Khajuraho Festival of Dance (March) are geared primarily toward travelers. The Lucknow Festival (November—December) highlights the refined Indo-Muslim background of this state capital. 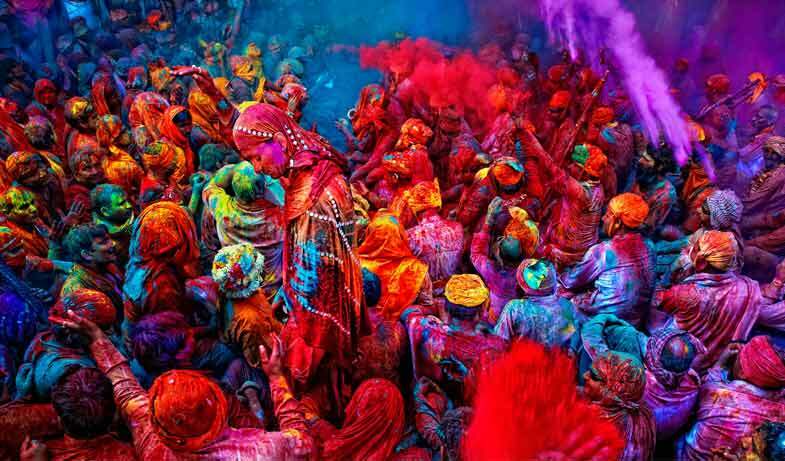 In Varanasi, the religious calendar takes precedence, creating a major festival practically every week. The Hindu calendar follows lunar months, so Hindu festival dates shift back every year, catching up to the solar calendar when a leap month is added every third year. Varanasi’s great bathing days, when thousands stream down the ghats into the Ganges, include Makar Sankranti (January), the full moon of the Hindu month Kartik (October or November), and Ganga Dussehra (May or June). Durga Puja (September or October) ends with the city’s large Bengali community marching to the river at sunset to immerse large mud-daubed images of the goddess Durga. The month leading up to Dussehra, also in September or October, features nightly reenactments of the epic of Rama in the Ram Nagar palace; across the river from Varanasi (some episodes also take place in the city itself). Buddhists from Tibet and all over Asia celebrate their festivals in Sarnath and Bodhgaya, and Muslim holidays are observed by Varanasi’s large Muslim minority as well as the more predominantly Muslim cities of Agra and Lucknow. Lodging India’s main hotel groups are represented in this region, providing in-creased amenities and efficiency at increasing prices. More and more good, air-conditioned hotels here cater to India’s burgeoning upper mid-dle class, but these are often quite generic. Outside the old British cantonment areas where most hotels are clustered, a few clean, well-run guest houses have sprung up; these are often more convenient to town centers and may be attractive to those who like to venture out on their own. Unless we note otherwise, all hotels listed are air-conditioned. Agra and Varanasi are craft centers. 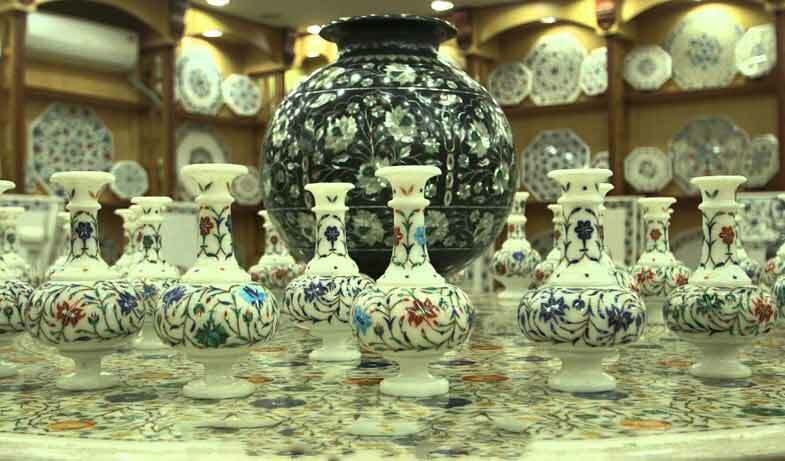 Marble work, jewelry, and leather are renowned in Agra, and the Varanasi area has long been known for its silk (particularly brocade) and rug weaving and for block-printing. However, the virtues of the soft sell are only now becoming known to the touts and emporium owners in these cities—there is a rigorous com-mission system, and prices are likely to be as high as (or even higher than) those for similar goods at a five-star hotel in New Delhi. Visits to artisans’ workshops are always interesting. Swan Tours, a leading travel agent in Delhi, India can curate a personalized tour for this popular travel circuit and depending on the time availability can include other popular destinations such as Delhi and Jaipur in the itinerary. For more information call 011-23415601.